For over 100 years Dumore has been turning creative ideas into high-quality products, built with better designs and better components than the competition, and standing behind them. 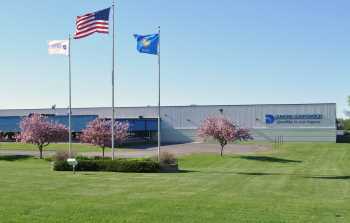 All Dumore products are proudly made in the USA, engineered and manufactured in our 100,000 square foot state-of-the-art manufacturing facility located in Mauston, Wisconsin. The Dumore legacy of quality begins with a quality design and manufacturing process. Since 1913 Dumore has been designing motors and tools for customer specific applications and has learned how to make the process easy and efficient for our customers. First, we listen! We work to fully understand your application, goals, budget parameters and time frame in order to provide a design and manufacturing program that works right the first time. Using the latest design and testing equipment our design and engineering team evaluate the application and develop drawings, costing and prototypes. If testing is required, we walk you through the testing process and incorporation of any changes resulting from testing. At Dumore, Quality Is Our Legacy, which means quality is our priority! Each and every product is manufactured with precision per stringent procedures and specifications. Attention to detail and insistence on meeting specifications is how we make high quality components into high quality finished products. When you purchase a Dumore product, you purchase more than a custom motor or tool. Dumore stands behind our every product with industry leading warranties and our full commitment to service. Dumore motors and tools are designed and built for years of service and the Dumore team stands ready to keep those motors and tools in optimum operating condition with replacement parts, repair and refurbishing services. Dumore Quality includes remaining your partner long after the purchase! Dumore Makes Getting The Best Easy! When your project demands the best, count on Dumore! Contact Dumore and start a conversation with one of our engineers about your needs. At Dumore, we make it easy to get the quality products you demand - Made in the USA!